I want to registered my complaint to Daily Monster Service recruitment service. they did fraud with me. One day one of the executive called me named " Karan Mishra" and told me that you updated your resume few days before in monster then your resume has been shortlisted for infosys in the profile of Software Developer. but first you need to create your reference Id with our company by paying 2650 rs. I told him that i don't have such money and can't arranged. so they told me that initially you can pay 1000 rs and then rest amount you can pay after joining. he told me to transferred money in their paytm account. then he told me send your academics documents in email Id. : [email protected] and the next day he called me and was saying that we just want to refund your money after looking your financial background. so tell me your details i transferred your money back. he was wanting the card details . so i objected him that what is the need of card details if you transferred money back. you can only have account number. but he told me that ever you returned back your money from any company, this is the proccessor to take your money back and also told me that trust me. 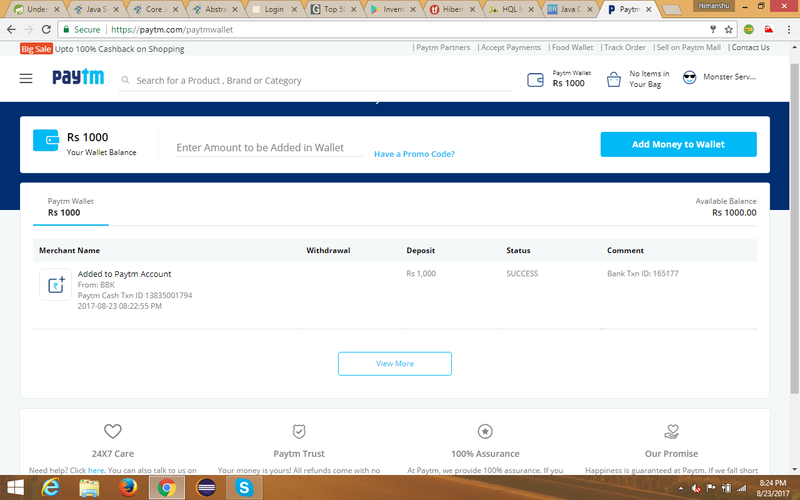 then he took my card details and otp and transferred 15000 rs in 2 to 3 transaction in their paytm and mobiwik account. when i complained him so he told me that the company server has encountered problem so that your amount has debited. and told me don't worry we will refund back your money. from that time his number is going not reachable. after some time once again i got a call from his company and i told him all about it. that person was saying he will try to find "Karan Mishra" in multiple branch. after 2 days he called me, telling his name "Rajiv Choudhary". and his voice was same as "karan Mishra". he was saying to me that he just going to refund my 15000rs but i need to maintain my account upto 10, 000 rs and then give him card details otherwise they can't.. I am stucked in a big problem. please help me. the number was from which they are calling: 09278401891 (Rajiv Choudhary), 9266102785 ( Karan Mishra ), 9266701858 (jyoti).